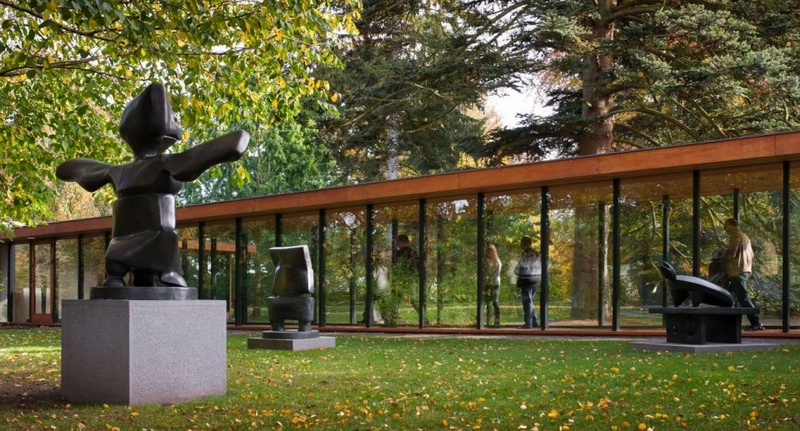 Louisiana, along the Øresund about 25 miles north of Copenhagen, is renowned for its collection of modern and contemporary art as well as for its campus of Danish modernist architecture. The complex of glass-walled pavilions and low-profile buildings fits elegantly into the natural landscape, incorporating sculpture gardens and views onto the sea. 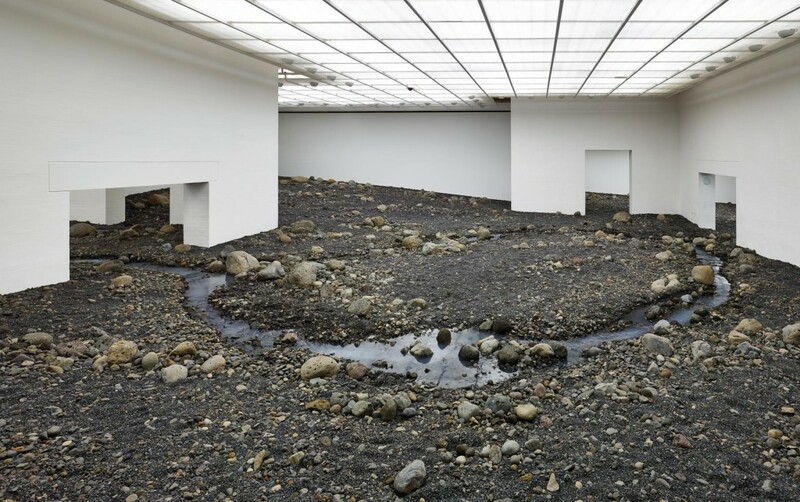 For his site-specific installation at Louisiana, Ólafur Elíasson has filled the museum’s South Wing with 180 tons of Icelandic rocks to create a naturalistic terrain, complete with a river of running water. Louisiana is deferential to its Øresund landscape, but also obscures it with buildings and gardens. 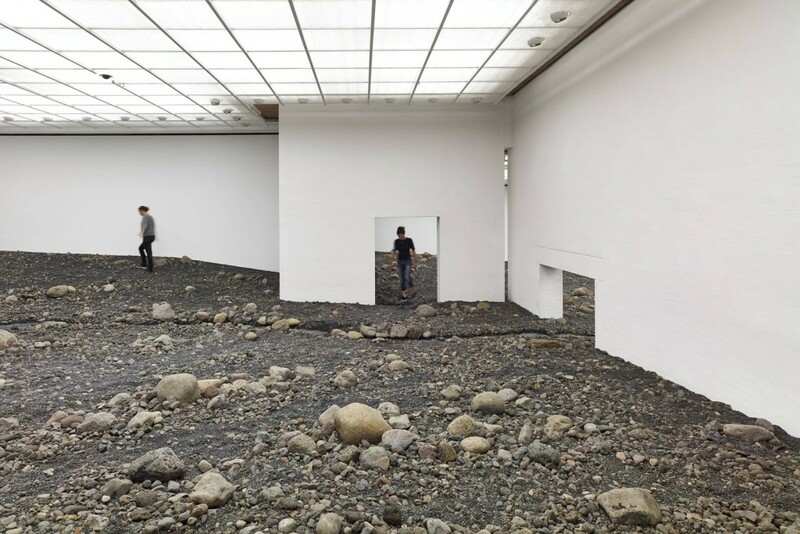 Elíasson’s installation suggests the dirt and rocks that were there before, and still are, underneath the museum’s floors. 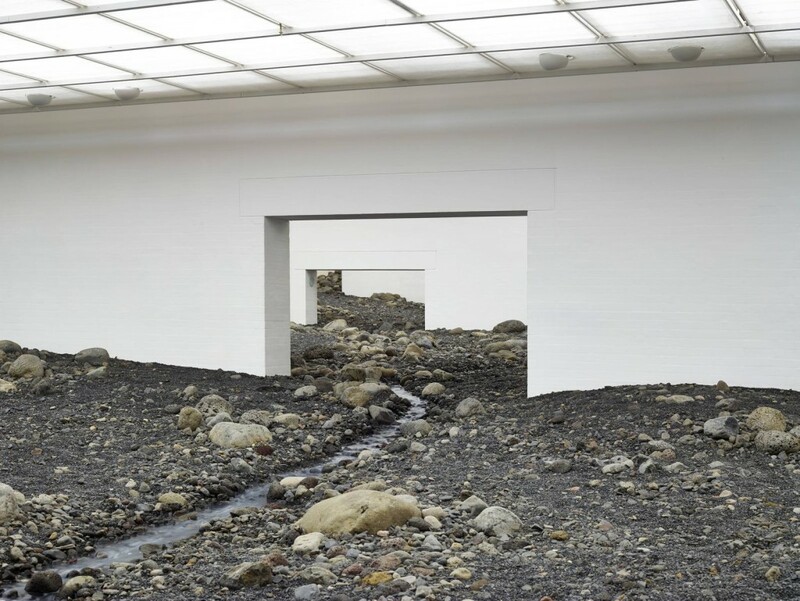 Visitors step across rocks and the small river that flows through the galleries, and the indoors and outdoors become reversed so that the building contains a landscape rather than the inverse. It is land art, on some scale, and is simultaneously representational and real. Ólafur Elíasson’s works since the early 1990s have frequently joined science, technology, and art for large-scale installations that immerse visitors into singular haptic experiences of natural elements. 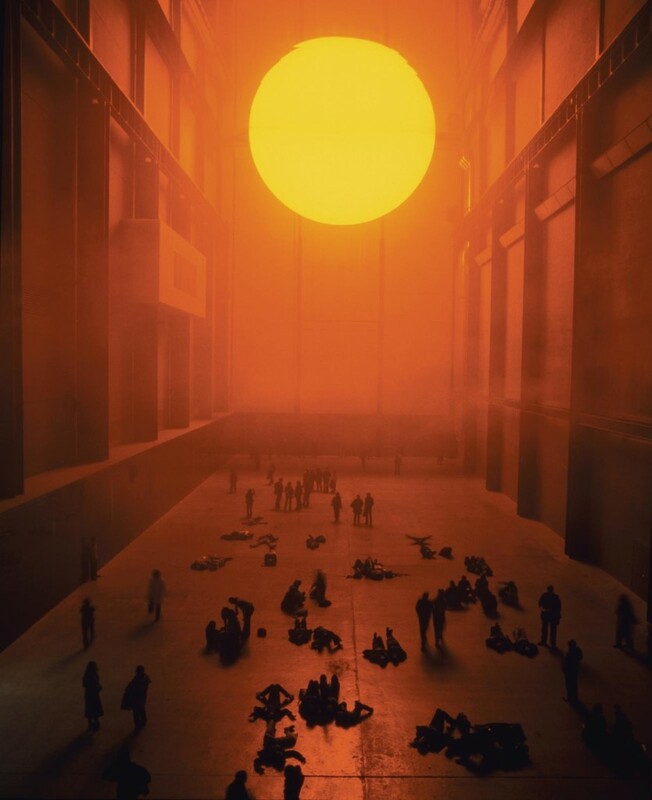 In 2003, Elíasson created The Weather Project in the Turbine Hall of London’s Tate Modern as part of the prestigious and popular Unilever Series. A large circular disk emitted orange light through a haze of mist, and a huge mirror covered the ceiling of the hall to reflect the light as well as the relatively small figures of visitors below. 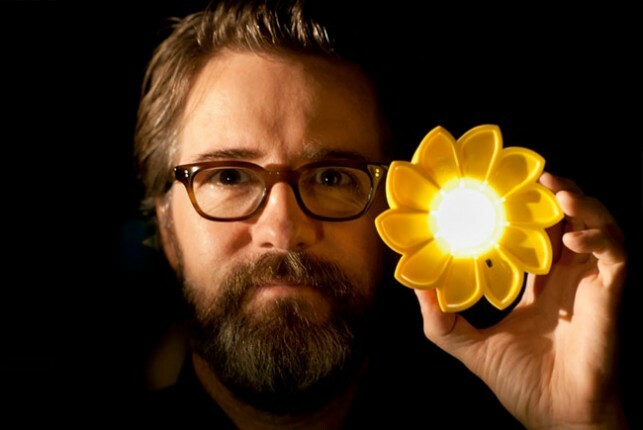 Some two million people visited the installation over six months to bask in the artificial sun. 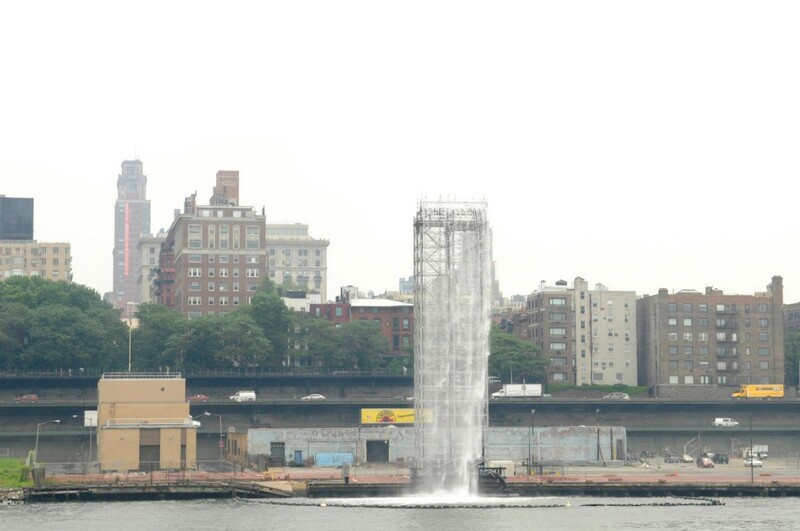 With a commission by the Public Art Fund and simultaneous exhibitions at MoMA and MoMA PS1 in 2008, Elíasson installed New York City Waterfalls with four towers of scaffolds and pipes along the East River. The towers, from 90 to 120 feet in height, took up water from the river and let it cascade back as an obviously mechanical version of a natural phenomenon. In 2011, Elíasson’s Your Rainbow Panorama was installed on top of the ARoS Aarhus Kunstmuseum in Aarhus, Denmark. The work is a 490-foot circular corridor made of glass in every color of the spectrum. 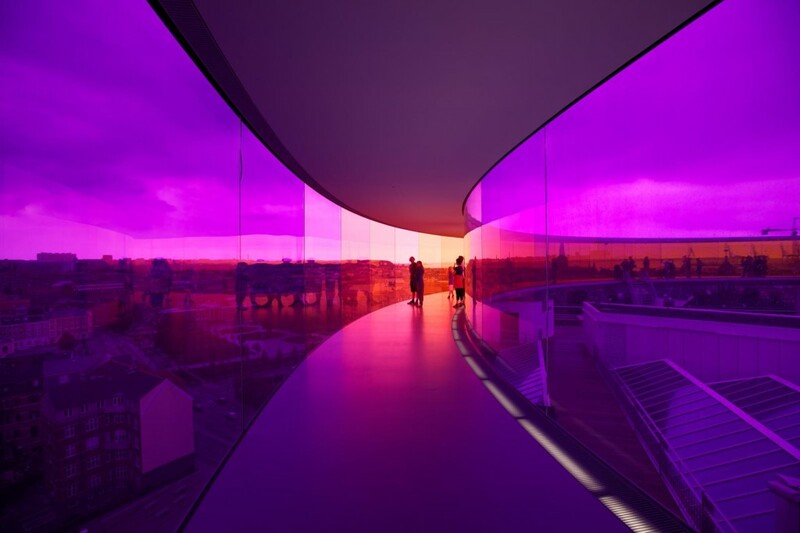 As visitors walk through the structure, they experience views across the city in a transition of colors depending on their location. It is illuminated from within at night, and provides constantly changing sensory experiences.